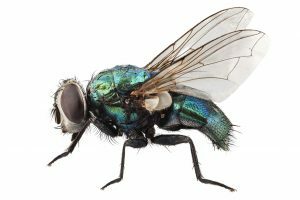 WHAT CAUSES BLOW FLIES TO COME AROUND? WHEN IS BLOW FLY SEASON? Blow flies thrive primarily on dead bodies of small animals such as rodents. They are easy to identify because they are medium to large in size and have a metallic glare on their body. They come in several colors including blue, green or yellow. They fly well and can reproduce in manure if unable to find a dead animal on which to lay eggs. Blow flies are one of the more common fly species active during the warm months of summer. This article will explain why they come around, what they’re looking for and what you must do to reduce their number. One of the easiest way to see a blow fly is to look in the yard or street for a dead animal. Blow flies love carrion (dead animals) and will find anything dead within minutes of death. Blow flies are naturally attracted to the gases decaying bodies release. Their sole purpose for being is to recycle carrion and once they find the body, blow flies will lay hundreds of eggs. The larva stage of these flies (MAGGOTS) will feed on the carcass until there is nothing left. The process for the complete consumption of the dead body could take several cycles of the fly, but the larva will pupate and adults will just keep laying eggs until the food supply runs out. 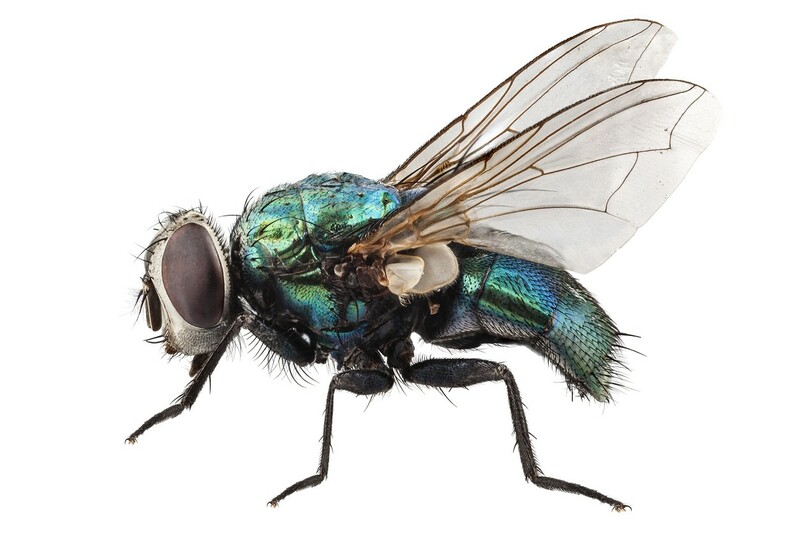 Blow flies are mostly attracted to dead bodies, garbage and animal feces. They’re so so outside in the yard, they’re hard to see unless you spy them on a pile of dog feces or dead carcass. In the home, they’ll fly from window to window trying to get out. 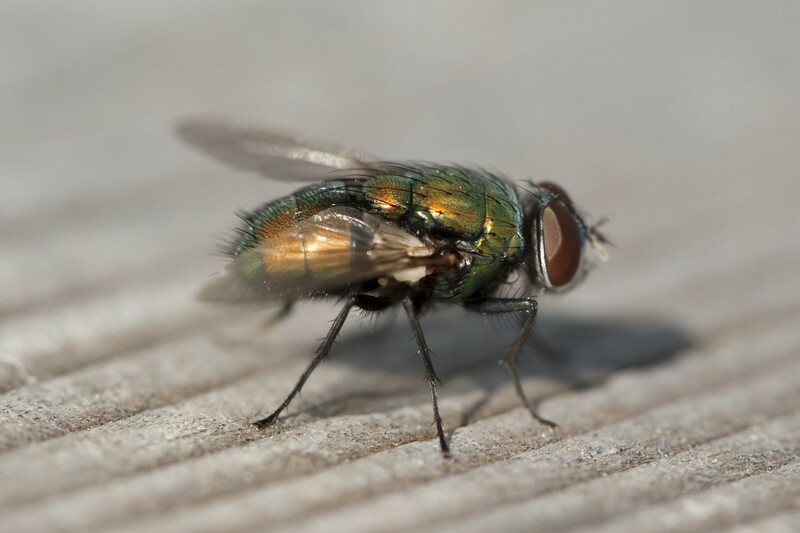 In the winter, blow flies can still be active as long as they smell food. Common food for them when its cold include road kill and dead rodents in homes which seem to be more available when its cold. This probably happens because people tend to use rodenticide in the winter. Rodenticide will almost always lead to some animals dying in the attic or wall. And even though these spaces might be “inside” the home, rest assured fumes are releasing to your attic and eventually outside. From there, the odor will quickly call in blow flies from the neighborhood. And this can happen even in the dead of winter. At some point a blow flies will find its way to the dead body and from there, lay eggs. Blow flies can appear any time of year. Most common in the summer, blow flies will be actively flying everywhere. But since they’re so hard to see, you have no idea how many are around in the yard. During the winter, they won’t go outside unless they catch a scent luring them to investigate. Road kill, manure and high moist temperatures will enable them to prosper. And tthough these flies don’t bite, they will be a major nuisance in the home. Now in general, they’ll be most active when its warm. So the summer and fall are when most people find them in the home. This instances can be nothing but chance. But if you find them in the winter, its a sure sign something is luring them to your home. The bottom line is if you find one blow fly in the winter and don’t see anymore for a week or longer, it was probably just an isolated event. But if you’re seeing more than 1 a day, you have a problem which needs to be addressed. The best way to treat active blow flies will depend on where you’re seeing activity, what is luring them to the home and where they’re active. In some cases they’ll be seen randomly flying around. These problems will require aerosols applied to “take away” their air space. Flying insects need good air to fly and even the slightest amount of product applied to a controlled volume of air like that in a structure can make it impossible for them to move about. In other cases, they’ll be seen landing on the home, garbage area or maybe in the yard. These problems will be easier to control using a spray. Lastly, baiting or trapping will always help and though not considered to be a “true” control, these options will help keep ongoing fly problems minimized. For blow flies randomly flying around inside a structure, a good space spray like AQUACIDE will stop their activity. Aquacide uses a strong pyrethrin active which causes flies to “malfunction”. They essentially get paralyzed which causes death within a few minutes. 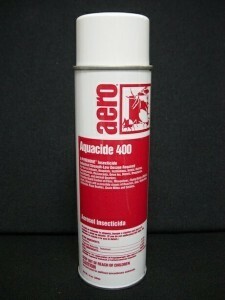 Aquacide should be sprayed in the middle of rooms for 5-10 seconds where flies are active. I will move around and flies moving through the treated air will die. Aquacide is safe for use around people so you can re-enter treated rooms within 10 minutes after they’re sprayed. But one of the drawbacks of its safety is that it won’t last long. This means you should plan on using it as needed. If flies come back 2-3 times a day, spray that often. By killing the adults, you will be ending the egg laying so eventually, the problem will end. But it could take 1-2 weeks of persistent treatments. One can is enough to treat the average 2500 sq/ft structure 3-5 times so plan on using a can a week. For a more “permanent” solution, install AEROSOL MACHINES. These are small devices which run on 2 “c” cell batteries. Set to go off every 15 minutes, they’ll release a 1/2 second dose of insecticide so that over time, the treated rooms will have in place an ever active amount of pyrethrin effectively taking away all the air flies need to live. The amount released is so subtle you won’t know anything is being applied. But it will be strong enough to control pests like noseeums, gnats, mosquitoes, moths and flies. Machines should be mounted 6-8 feet up off the ground on a wall but you can also set them on wall units or countertops. Each machine will cover 400-500 sq/ft and will need one of the refills listed below. In each machine you’ll need a can of CLEAR ZONE. This odorless pyrethrin based aerosol works like Aquacide in that it will make a fly loose its ability to move and eventually die. Cans will work for 30 days in the machine above so plan on replacing them monthly. In general, it will take 2-4 weeks for most problems to be eliminated in structures so plan on using the machine for at least one month. For ongoing problems, plan on replacing the can on a regular basis during the warm season. Onslaught is time released so treatments can last many months. For example, the ceiling under a gazebo, porch or deck is a common place for flying pests to land. One treatment of Onslaught to this surface will keep all insects away for 6-12 months. Treatments will last this long because they’re protected from direct sun and because Onslaught uses a unique “time released” schedule. This schedule releases active chemical slowly over time. And in controlled locations out of the sun, this process can last for many months. 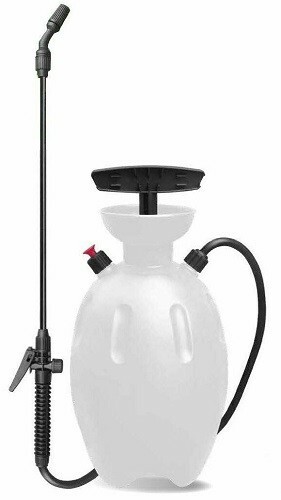 For flies, mix 1/2 to 1 oz per gallon of water and plan on getting 800-1000 sq/ft of coverage per mixed gallon of spray. Onslaught is odorless, mixes easily with water and can be applied with any standard sprayer. Use a good PUMP SPRAYER to apply the Onslaught and use a wide dispersing “swath” spray pattern when treating. Another “spray” option is actually a bait. It uses a strong fly pheromone flies cannot ignore. So instead of having to spray the entire structure to put a protective barrier in place, using this option will require must less product. 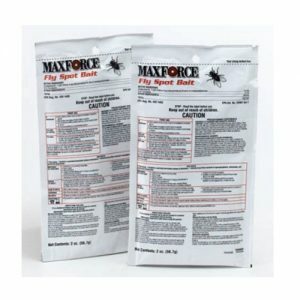 To use MAXFORCE FLY SPOT BAIT, you only need to spray the mixed solution on surfaces close to or where flies are known to be active. The bait contains the lure which will attract them. And once they land on the spray, there is a unique “non repelling” active they cannot detect. They will then pick up a small bit of the chemical and 1-2 days later die. Add 2 oz per 16 oz of water and spray the diluted mixture over 125 sq/ft. This would be an area slightly larger than 10 ft by 10 ft. Treatments in a protected area, like under a covered deck or gazebo, will last 3-4 weeks. If applied on the side of a building, you should get 2-3 weeks of control. And when sprayed on the ground, only 1-2 weeks of control. Another great way to use this product is to apply it a good 1/4 acre from where you’re active and don’t want to see flies. If you’re able to spot treat 3-4 locations around your yard or home, you can essentially divert all fly activity to the bait so you never see any where you spend time. Once in place, flies will focus on the treatment, land and die 1-2 days later. Within a week, all activity should cease. FLIES BE GONE FLY TRAPS traps are another option that can really help managing flies too. Like the bait, they use strong pheromones flies cannot ignore. As flies get close to the trap, they’ll detect the smell, find the trap, enter and be trapped inside. 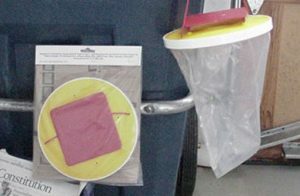 These traps work by releasing strong smells so they should be used away from people and public areas. This way the flies are lured away and won’t be bothersome when approaching the trap. As traps fill, they become more effective. Eventually though they will fill and should be discarded when there is no room left inside. Use 1 trap per 1/4 acre. How can flies be getting into a room when the doors and windows remain closed? Can they come through the carpet? It’s not likely they’re coming from outside the room where you see them. In fact, its most likely they’re coming from something in the room. You see, it only takes one fly laying eggs to fill any average sized room with adult flies. Since she can lay hundreds of eggs, as long as the hatching larvae have something to eat they will rapidly develop into adults and start appearing like you’ve been seeing. Now how to best control the population is to treat where the eggs may have been laid. Since carpets will many times harbor all kinds of food (as can couches, sofa’s, etc. ), treating these areas with some Permethrin 10 would be a great way to start. It’s odorless and will quickly kill developing larvae. Within a few days of spraying the area, the problem will be greatly reduced and by a week, should be gone if this is where they were originating. But if you’re not 100% sure they’re coming from the carpet, go with a space spray instead. 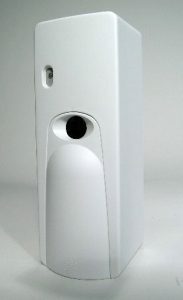 PT-565 can be applied as often as you’d like to the air in the room. It will only take 3-5 seconds to treat the area and if you did this in the morning and evening, you should be able to kill any that appear in the room. Lastly, a more permanent solution would be to set up an aerosol machine with some Purge III. 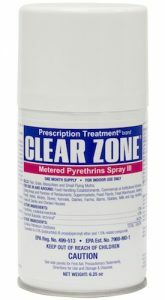 It too used pyrethrin as its active but instead of you having to manually control the application, you can set the machines to go off every hour or so. This way you’ll constantly have a new application being done to the room which will control any flies that choose to enter. Refills last a month or more so its a cost effective way to treat these types of problems and very easy too.